Action in the defence sector continues to gain momentum. 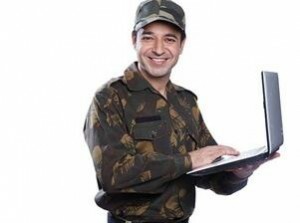 The latest being the Ministry of Defence selecting a consortia of 2 developers to develop Battlefield Management System (BMS) worth INR 500bn. The BMS project is categorised under the Make in India category and will be one of the largest defence solutions to be manufactured indigenously. It is a situational awareness and visualisation system that aims to optimise the operational effectiveness of tactical units. Under the project, a digital wireless network will interlink soldiers and battlefield sensors via voice and data channels, providing a common battle picture to each soldier. The Ministry of Defence has selected 2 consortia—BEL–Rolta and L&T–Tata Power for development of BMS project worth INR500bn, one of the largest projects under the Make category under the Defence Procurement Procedure (DPP) 2013. They were selected from 14 companies on the basis of their technology and indigenisation plans. The government will, post evaluation, select either one of them or distribute the contract between the 2 for mass production. Thus, portending a positive for all the 4 companies selected. 80% expenditure on development of prototypes will be reimbursed by the government (100% if MSME are outsourced 20% of work). We believe that over 30% of the systems will be built indigenously, thus there will be a large bought-outs part, opening up a sizeable opportunity for component manufacturers in India. With selection of the 2 consortia, the BMS project has taken a concrete step towards awarding. We believe BEL will continue to be one of the key beneficiaries of the increased spending in defence given its dominance in defence electronics and also as a lead integrator in such consortia.